112 page PRINTED book. Womb Alchemy was created to bridge the very large gap between women and their wombs. Modern day lifestyles and centuries of patriarchy have resulted in women despising or denying their wombs. Periods are looked at as something to be ashamed of and pain and PMS are the norm. We are overly medicating and disconnecting when we can be celebrating and deepening into the magic that is our womb. 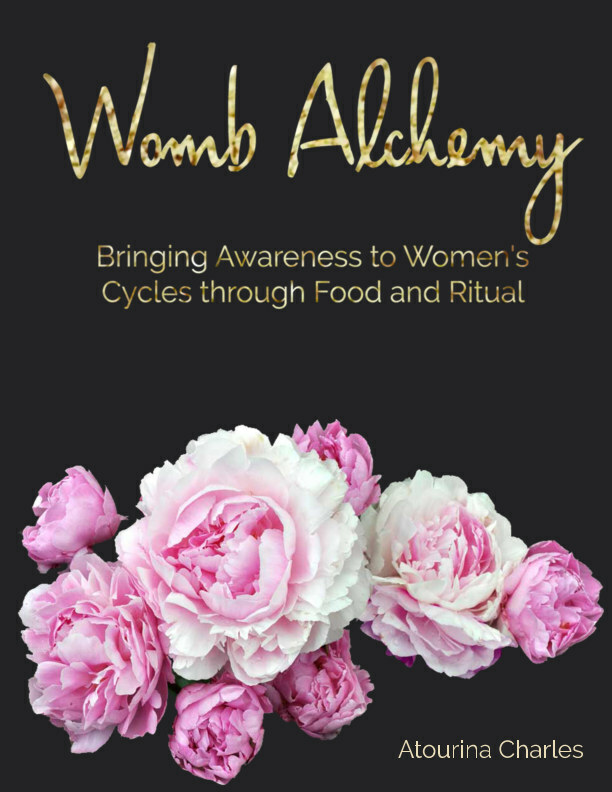 Womb Alchemy is committed to the reconnection of this sacred bond by empowering women to discover the beauty and potency of their menstrual cycles. WOMB ALCHEMY is committed to reconnecting women with their wombs. We offer wisdom coupled with knowledge to bridge this wide gap that is a result of a modern lifestyle.